With 2018 on our horizons, there is no better time to pack your bags and set out searching for adventure. Plus, now that Airbnb and Uber are available in most countries, stress about on land travels and accommodation are a thing of the past. With that said, with the abundance of choices for fantastic vacation spots to traverse, it can be hard to pinpoint just one that’s right for you. So, once you’ve set up for your travels, which can be made easier with financial help from Latitude travel loans, it’s time to look at destinations. With a rich, vibrant culture and world renowned food and architecture, Paris is a travelling must. Boasting some of the world’s most famous monuments, such as the Eiffel Tower and Notre Dame Cathedral, you can immerse yourself in the culture and sights of Paris while gaining a higher knowledge of the extravagant past. Whilst out and about, you can’t miss all the exquisite bakeries and food stores. With 70 Michelin-starred restaurants, there is no way to go hungry while exploring. Plus, with theme parks and Paris Disneyland, the whole family can have fun whilst you relax into the city of love. The Eternal City, Rome is one of the most artistic and culturally abundant places. With the Vatican city and the Colosseum in Rome, you can go back in time and immerse yourself in the renaissance art, the beautiful works of Michelangelo and the classic ancient architecture. With that said, though many tourist flock to the works of Michelangelo, many people overlook the lesser-known but more appreciated sculptor Bernini, whose work helped define and create the Baroque style of sculpting, creating numerous works in the vatican city and churches throughout all of Rome. Whilst in italy, how can you resist the food and the chance to try original classic pizza? From cheap eats to high-end restaurants like La Pergola, visitors can enjoy a variety of excellent Italian cuisine to fit their budget. Pizza can be found most anywhere, but it’s hard to find any other city that serves better gelato. 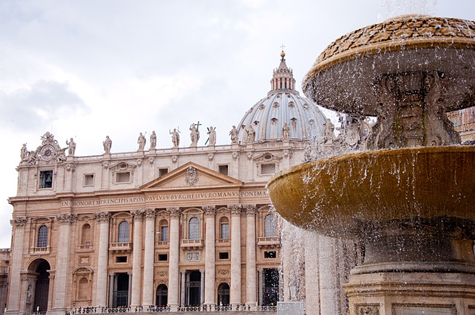 One of the most famous and breathtaking places to see in Rome is the Trevi fountain. It is the largest Baroque fountain in the city and the most beautiful in the world and since 1762, people have tossed into the trevi fountain to insure a return trip to rome such is its allure and grandeur. The world's most livable city, Melbourne is an attractive haven for art and multiculturalism that brims with great facilities and infrastructure and how could you go past the food. There is something for everyone, nearly every type of food is represented in Melbourne with quality restaurants. Explore the French influences of Vue De Monde to the world acclaim of Attica, to the Middle Eastern brilliance of Maha, to colourful eateries in Chinatown, and the variety of fine dining along Flinders Lane. With also it’s incredible arts precinct, Melbourne is a great city for exhibitions, festivals, displays, museums, galleries and live performances. Abu Dhabi is simply gorgeous. Most visitors are surprised when they ﬁrst arrive at the city by how extremely beautiful it is. The soaring skyline is comprised of shiny towers reﬂecting the shimmering sea. Sitting majestically on the ocean, the waters that surround the city are crystal clear, and vivid aquamarine in colour with the beaches are made of the ﬁnest white sand lined with exquisite date palm trees. The Corniche is the very best seaside promenade, and runs the whole length of the city and is one of the most popular points in the city. Whilst California is filled with glitz and glamour, such as the walk of fame and the sheer enormous nature of America with its chain restaurants and theme parks, what is commonly overlooked but appreciated is the beautiful and serene nature and national parks. California has some of the most iconic views in the world with Sequoia and Kings Canyon national parks being the home to the largest tree in the world, by volume. Redwoods are taller, but giant sequoias win for sheer mass: the General Sherman's trunk has a volume of 1,487 cubic metres and is estimated to weigh over 2,000 tonnes. “When a man is tired of london he is tired of life”- Samuel Johnson. London is one of the most vibrant cities in the world and is regarded as one of the most important. There is something for everyone, from the rich theatrical history entrenched in the Globe Theatre where William Shakespeare’s plays grew into the mainstream giants they are now, to the impressive giant timepiece known colloquially as “Big Ben”. There is no shortage of things to do in London, and the only way to truly experience it is to spend time exploring the winding alleyways and the sprawling streets. The only island that is part of the United States Of America, Hawaii is an island paradise that anyone can escape to for a blissful holiday away. Dotted with active volcanoes, thriving lush forests and all the comforts of an American city, Hawaii is by far the most generally suitable holiday destination for people of all walks of life. If beaches aren’t your thing, there are mountains and forests. If the landscape and vegetation isn’t your speed, the crisp blue waters are world famous for their perfect surf and their gentle reefs on which to snorkel and in which to scuba dive. These destinations represent the best the world has to offer for your major trip goals in 2018, and there’s no reason to hesitate with setting yourself up for the trip of a lifetime.